Why learn a foreign language? Certainly there are many reasons to learn a new language and just as many advantages of learning a foreign language. 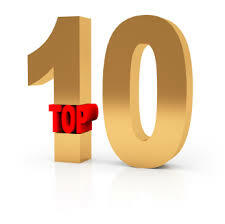 The following are but my own top ten reasons to learn a new language. You can expand your network. By learning a new language you can meet new people and speak to people you would otherwise have not been able to communicate with. For anyone in the business sector, this can be a very positive motivator! You can give yourself a career boost. Perhaps your company is expanding globally. By learning a new language you’ll be more marketable and perhaps in line for promotion by using your new skills. You can open your mind and cultural understanding. It’s easy to just settle for what you know, but what a wealth of knowledge exists in learning the ways of another culture. By learning a new language you not only learn a new way to communicate, but a new way to live. You can impress people around you. Whether you’re at a fancy French restaurant pronouncing all of the dishes with the ease of a native speaker or asking for directions on a Mexican street, you will impress those passing by or within earshot with your new skill. You can improve your decision-making skills. While this may sound a little strange, a study from the University of Chicago found that when people speak in a language other than their own original language, there is a tendency to make more prudent decisions. Who knew this would be a benefit to learning another language? You can study or live abroad more effectively. If you intend to study oversees, or are just looking for some adventure outside the boundaries of your home country, learning a new language can help you be more effective and less fearful of the unknown. Not to mention, you will be able to get what you want and/or need a lot easier than playing charades to make your point. You can expand your dating opportunities. Your soul mate may not speak your language, currently that is. By learning another language, you will increase the odds of finding that perfect person for you (if you haven’t already found them)! You can learn others languages more quickly. It seems like the more languages you learn, adding a second and third new language becomes exponentially easier. You are able to see patterns, learn linguistic techniques that may apply, and your mind is open to thinking, hearing, and speaking in alternate languages. Just be careful not to combine several in the same sentence or you might get some strange looks! You can improve your self-confidence. Learning another language is not easy, for most people, so the sense of accomplishment in mastering another language can do wonders for improving your self-confidence in other areas of your life as you learn more about yourself as well. You can challenge yourself to stay young. By taking on the challenge of learning a new language, you are keeping your mind active. This challenge will keep you on your toes and at the same time have a profound effect on your brain as it improves your cognitive skills and helps feign off boredom. A research study from University College London concluded that learning other languages alters the “grey matter”, the area of the brain that processes information, much like exercise builds muscles. What are your top reasons to learn a new language this year? Please share below! My partner actually speaks 5 languages and I’m ashamed to say I cannot even speak my native tongue ( I’m Welsh but I strictly stick to English – a lot of us do in this country! ). As I said she speaks 5 different languages and is from Bulgaria originally. I wish I had put the same effort into studying languages when I was younger! I think many of us wish we had learned more when we were younger. What a blessing to grow up bilingual or polylingual. Then again, if you didn’t learn a second language when younger, there’s no better time to start than now. I am always impressed with people when they can learn a language, and would love to myself. Somehow though it doesn’t come easy to me. Do you think some people have a “languages” brain? I often wonder, or perhaps that’s just my excuse. I have several friends who speak a multitude of languages and seem to be able to pick up another new language very simply while I am still trying to translate everything in my head. Love your points, hadn’t thought of the soulmate connection…but absolutely correct! I think any of us who learn a first language can learn another given the right motivation and approach. It also seems that each subsequent language comes easier. I encourage you to find a friend who speaks your target language, and begin talking with him or her in your new language. Don’t be afraid to sound a little silly at first. It’s all part of the process. A good and encouraging challenge you have for us right there. And I like the way your top ten benefits of learning a new languge (s) run from 10 to 1. I teach Swahili myself and that’s why I felt encouraged. Sometimes it’s hard to find online/Skype teachers of language when one doesn’t have to move to college far from home or work. Which sites would you recommend? I heartily recommend Italki whether you are looking for a teacher, an informal tutor, or just a conversation partner in the language you are learning. See my full review of Italki here. You may even wish to register as a teacher of Swahili through Italki. I read your “about me” page as well. What a great name for a website and the concept that it supports is even more intriguing. I couldn’t agree more with you about why we should learn another language. If so, you’re probably aware that we are one of the only “educated” countries in the world that has college grads who only speak one language. I’m embarrassed to say I’m one of them. To put it bluntly, too many Americans have a cavalier attitude about English and because so many other people in the world speak it, we have gotten spoiled. I’ll never forget the time the late Ricardo Maltaban (I hope I spelled his name properly) was on Johnny Carson many years ago. He looked straight into the camera and said (I’ll paraphrase here) just remember, all you Americans, the next time you hear someone speaking with what you call an accent, before you make fun of them or become impatient, just remember, it means they probably speak at least one more language than you. Thanks so much for your comments, Bob. What you say is very true. I’d like to do my part to encourage people to meet the challenge, step out of our comfort zone, and meet our neighbors where they are. You might want to read this. As someone who’s a men’s dating coach, I totally agree with #4. One of the most missed opportunities guys have is when a girl likes him but they have a bit of a language barrier. Unless you are a master of understanding body language, that relationship won’t work out at all. But if you happened to speak that persons language, you would open up a whole new garage door full of opportunity for yourself! Thanks, Jay! That’s right — speaking a new language opens a lot of new opportunities for relationships, business, travel, and more. I myself considered learning french or german lately, but haven’t quite done so up until now. This post is a great reminder that learning a new language may indeed be worth the investment. Plus, it’s better to do it when you are young anyway, it won’t just be easier, it will be more useful to you over time. Exactly! To anyone who has been considering learning a new language: I encourage you to begin today!